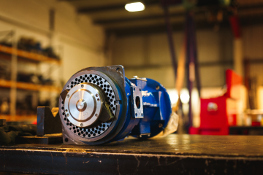 Industrial Pumps is a leading pump distributor based in Yorkshire but serving the needs of our clients based across the globe. We are approved repairers and suppliers of many of the leading OEMs involved in the Pump business. 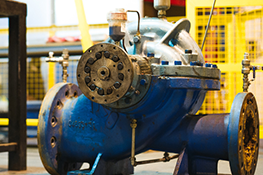 With 25 years’ worth of knowledge, we are experienced in solving pumping problems and servicing existing pumps. Find out more about the manufacturers we use, industries we supply and our site and survey consultations. Learn more about our facilities, our service team, installations, laser alignment and service and maintenance agreements. 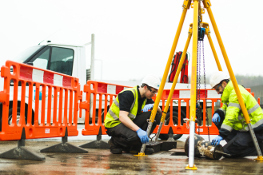 We can also carry out site surveys, provide pump replacement schedules, offering the most economical options for your operation. To supplement our core service offering we're also fully conversant in other complementary areas to provide our customers with a complete service offering. 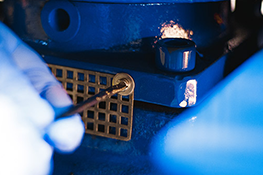 "Industrial pumps never fail to impress with their outstanding level of health and safey procedures"
If you require any further information on any of our services, please refer to our brochure section where you can download any of our service leaflets. Industrial Pumps Ltd has received funding from The Sheffield City Region European Regional Development fund (ERDF), part of the European Structural Investment Fund (ESIF) portfolio 2015 to 2020. Welcome to the new and expanded Industrial Pumps site. We have relaunched our site to include a new range of pumps and have a user-friendly fluid design. Lowara Pumps are based in Italy and with a huge range of centrifugal pump products have become a global name in the pump industry. Check out the SV series range now! We have just signed an agreement to become Hambaker Adams official service partner – supplying and repairing all products in their portfolio in particular Inlet Screens. IPL are pleased to announce we now have 7 frameworks with Yorkshire Water – 5 pumps supply and repair agreements, 1 x Service and Repair Framework for inlet screens and 1 x framework for the supply and repair of Haigh equipment.